In celebration of ten years at their 1306 S. Michigan Ave. location, the Dance Center of Columbia College will present 13 hours of free dance performances, workshops, and classes on Saturday, Sept. 25. The event, 1306 - Ten Years Later, will fill the studios, theater, hallways, and even the stairwells of 1306 S. Michigan Ave. with activity from 10 am until 11 pm. Whether looking to learn how to dance, or to sit down and enjoy innovative contemporary pieces, audiences of all ages will find something to enjoy at 1306 - Ten Years Later. If you want to bust a move, or to figure out how, you'll find a wealth of instructional classes between 10 am and 4 pm. The event features nine different classes, including Afro-Caribbean dance, contemporary dance, flamenco, and even choreography from Michael Jackson's "Thriller." If you're bringing your family, check out the Family Dance Workshops at 2 and 3 pm. For those who prefer to observe, performances and studio showings will feature companies such as the Dance COLEctive and Midwest Ballet Theatre, as well as Dance Center students and independent artists. If you're interested in behind-the-scenes artistry of dance production, you'll want to check out the sound and lighting installations. 1306 - Ten Years Later is free to the public, and requires no tickets or RSVPs. Attendees are encouraged to stop in for a few hours or the entire day. 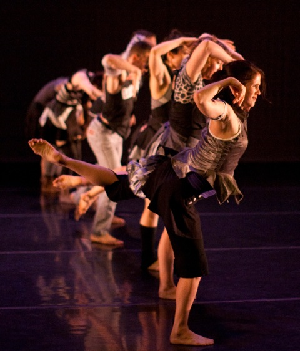 For the full schedule of events, check out the Dance Center of Columbia College website, or call 312-369-8300.